Great birthday or Christmas gift idea. 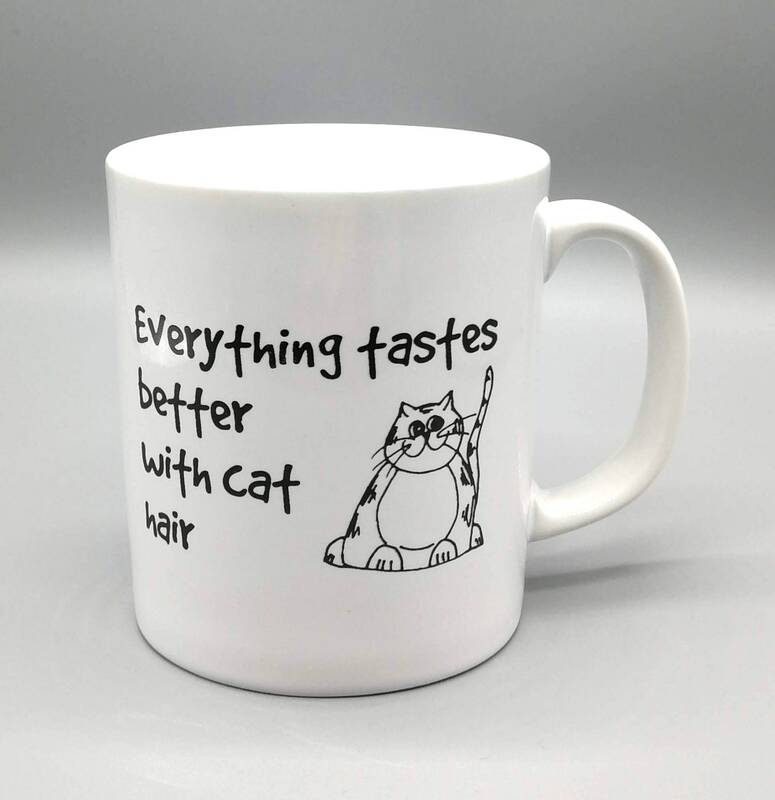 Funny novelty cat mug. 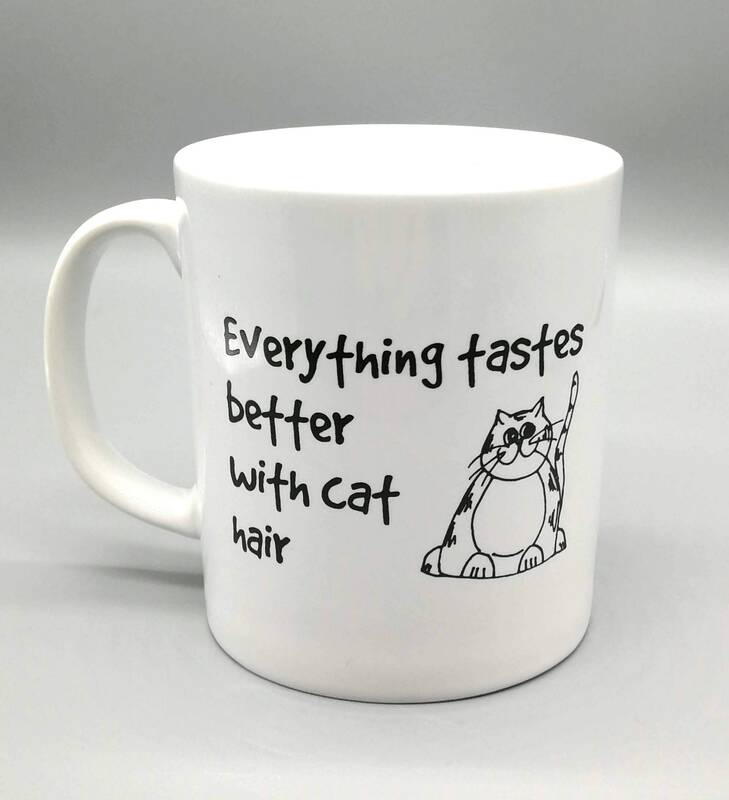 Everything Tastes Better With Cat Hair earthen ware mug.